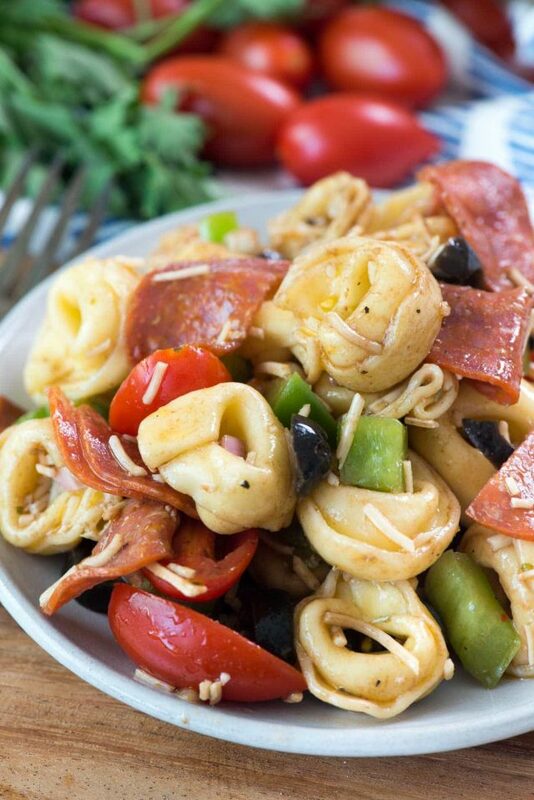 This Spicy Italian Pasta Salad needs to be your go to pasta salad recipe for summer! Coated with a spicy sun-dried tomato pesto, it’s the perfect recipe to pair with a sweet wine. 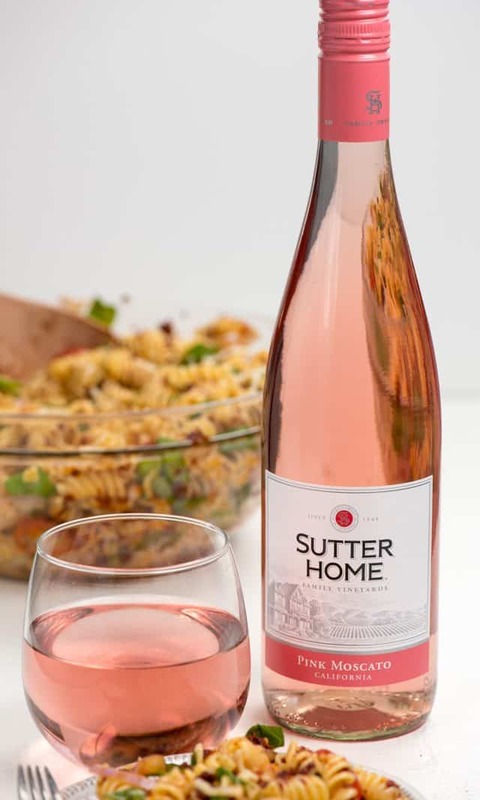 This post is sponsored by the makers of Sutter Home, whose Pink Moscato will pair perfectly with this spicy pasta salad! One of my favorite things to do on a Sacramento summer evening is sit on my patio and drink a nice cold glass of wine. I look forward to it every night! This year we are in the planning stages of re-doing our backyard. It’ll probably take most of the summer, but by fall (when it’s actually pleasant outside), we’ll have a fire pit patio and lots of pretty plants and bushes to look at while I sip my evening glass of wine. Not only do I love sipping wine in summer, but I love entertaining too. Since we have a pool, there are kids at my house swimming almost every day. Usually a few times a week I invite the moms to join and we can chat and gossip while the kids swim. When I entertain a crowd, or even when it’s in the 90s and too hot to even grill, I love to make pasta salad. It’s my go-to summer recipe because it’s so versatile. You can make pasta salad every day and not duplicate the flavors. And seeing as Sacramento is the Farm-to-fork capital of the U.S., there are always plenty of fresh ingredients to choose from. And in the summer months, this means the freshest tomatoes. 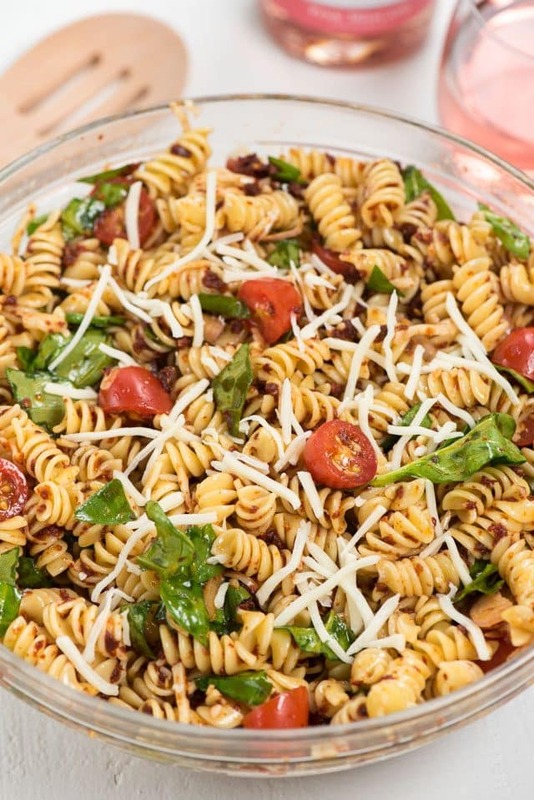 This Spicy Italian Pasta Salad was a hit last week when I had a few moms over to swim. They loved the sauce and the extra bit of heat it packed. Spicy Italian Pasta Salad is a simple pasta salad recipe with extra flavor in the sauce from spice. Arrabbiata sauce inspired, this pasta salad is coated with a sun-dried tomato pesto with spicy chili flakes! I absolutely love a good arrabbiata sauce because I love spicy food, especially spicy Italian food. Arrabbiata sauce is a tomato based sauce that packs a spicy punch from the addition of dried red chili flakes. I’ve known for awhile that I wanted to turn this hot pasta dish into a pasta salad for summer. Sure, I don’t want to cook, but I still want my food hot (spicy, that is). To transform arrabbiata sauce into something for pasta salad, I turned to my go-to: pesto. Because arrabbiata is tomato based, I chose to use sun-dried tomatoes as the base for the sauce. Sun-dried tomatoes pack a ton of flavor and make a delicious pesto. 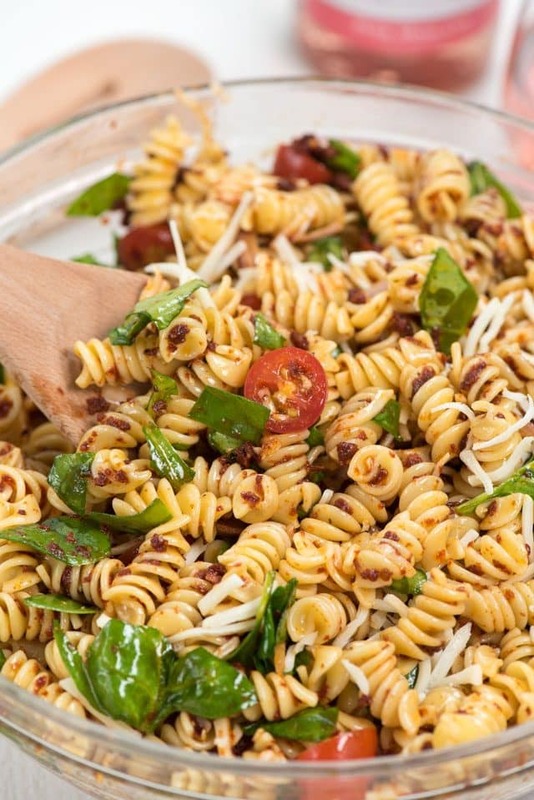 Once you process the sun-dried tomatoes with oil, you add garlic and red chili flakes, the other two key components in this Spicy Italian Pasta Salad. After making this pasta, I knew I needed to pair it with a sweet wine for my girlfriends. Sweet and spicy go together naturally, don’t you think? That’s why this spicy pasta salad pairs wonderfully with Sutter Home Pink Moscato. I’ve been drinking Sutter Home wines since I turned 21. Sutter Home Pink Moscato is a pretty, pink wine that pairs naturally with sweet desserts, but don’t stop there. Just because Pink Moscato is considered a dessert wine doesn’t mean you have to drink it with dessert! Sweet wines also pair with spicy food; the sweet cuts the spicy. 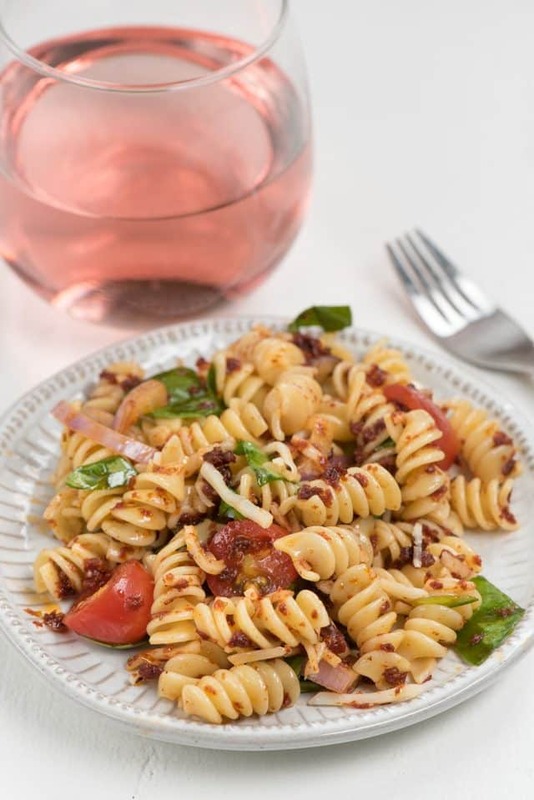 This makes Sutter Home Pink Moscato the perfect pairing for this Spicy Italian Pasta Salad. Their pink moscato has strawberry, peach, melon, and passion fruit flavors in every sip. If you’ve been looking for a delicious sweet wine to try, grab a bottle of Sutter Home Pink Moscato. You won’t be sorry! 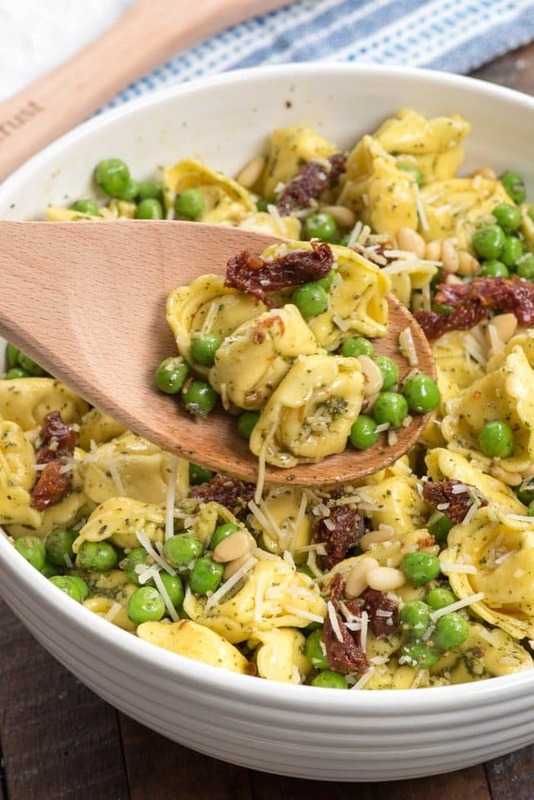 Really, you can add anything you want to pump up the servings in this pasta salad. I love the simplicity of this though – it makes the flavor of the dressing pop! This Spicy Italian Pasta Salad needs to be your go to pasta salad recipe for summer! Coated with a spicy sun-dried tomato pesto, it's the perfect recipe to pair with a sweet wine. Cook the pasta according to package directions. Drain well and rinse with cold water. Let cool. Add the pasta, tomatoes, spinach, mozzarella, and shallot to a serving bowl. Make the dressing: add the sun-dried tomatoes (with their oil) to a food processor or blender. Add the garlic, 1 teaspoon red pepper flakes and 1/2 teaspoon salt. Pulse until sundered tomatoes are finely chopped, then run the food processor or blender while adding the olive oil. 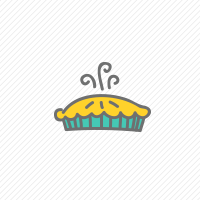 Run until a thick sauce forms. Taste, then add more pepper flakes and/or salt to taste. This post has been sponsored by the makers of Sutter Home. All opinions are 100% my own. The sweet and spicy combo is perfect. You know it’s hot when it’s even too hot to grill!